Sometimes it's good to remember life is not all about optimized GPU codecs, gigantic LED walls and how many outputs you can run of a single computer. Sometimes life is about using visual art to transform spaces. And if we're really lucky, we can also use it to transform people. Recently we received an email from Roxanna VJ Thai that reminded us of exactly that. And we'd like to share that letter with you all as well. Brace Yourself, Workshops Are Coming in October! This October, we'll be hosting another round of Resolume workshops. Whether you've just been bitten by the visual bug, or if you're a hardened veteran that wants to get more out of your favourite software, we got a session for you. Or sign up for the whole week to get a crash course on all things Resolume! New this time is the Creating Content workshop. Using Resolume to create visuals is a great way to get to know the possibilities of the software. More importantly, it's a lot of fun in the process! New things will be learned! Fun will be had! Sign up now! 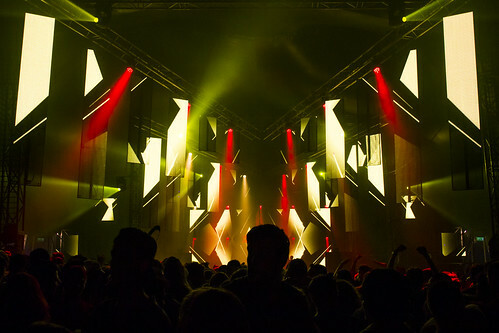 KBK Visuals at Soenda Festival 2013, Komodo Stage 18-05-2013. Photo by Jessica Dreu. Big stage envy? Don't get mad, get educated!